Detroit: where everything good in America came from. (Bourdain said it so it’s gotta be true, right?) It definitely applies to the food and drink, like the sauce-topped coney dogs that could start a turf war among locals claiming their favorite coney spot is the best or the 100-deep classic drink menu from cocktail-haven Sugar House, one of the best cocktail bars in the country. These are the spots where locals (and Bourdain, probably) get their coney on. Plus, all the other restaurants and bars folks in the D head to once they wipe that all-meat chili sauce off their faces. Noble Fish (Clawson) – Has the size and spirit of a traditional Japanese sushi bar. The Town Pump Tavern (Downtown) – Where else can you enjoy a pitcher of beer beneath a tin ceiling in a library nook? Woodbridge Pub (Midtown) – The food and beer menu are well-matched in their elevated style. National Coney Island – It’s the oldest coney chain in the state. Duly’s Place (Southwest Detroit) – This is the purists’ coney. Detroit One Coney Island (Midtown) – It’s open 24/7, so it’s a critical stop when you’re in need of a late-night coney fix. Joe’s Top Dog Coney Island and Bar (Dearborn) – Can you get more Detroit than where the folks from the Ford Rouge Plant get their lunch coneys? American Coney Island (Downtown) – There’s no doubt, American makes a terrific coney dog. You know it, we know it, the world knows it. Lafayette Coney Island (Downtown) – Lafayette is simply the best original coney there is. 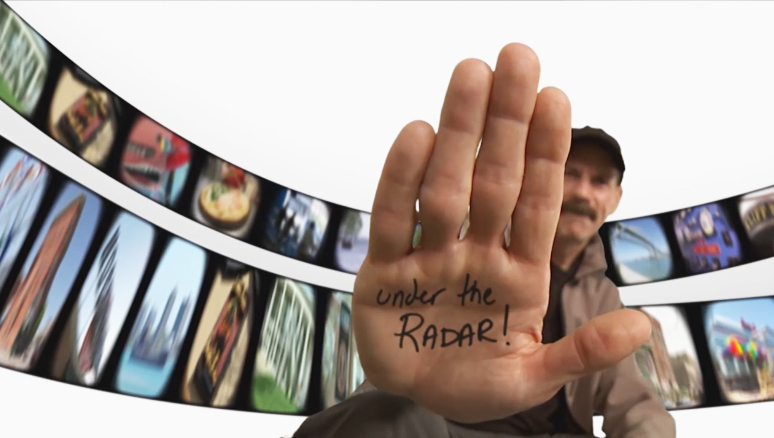 Read the complete article … with photos and complete reviews. This entry was posted in Detroit, Restaurants, Touring Detroit and tagged Thrillist. Long before Detroit became known as the Motor City, it was world famous for another iron product: stoves. 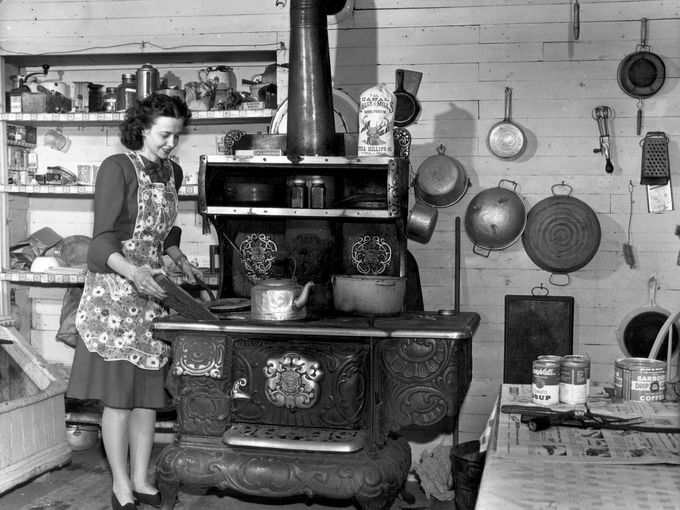 In the 19th century, Detroit’s four large stove manufacturers produced more than ten percent of stoves sold around the globe. 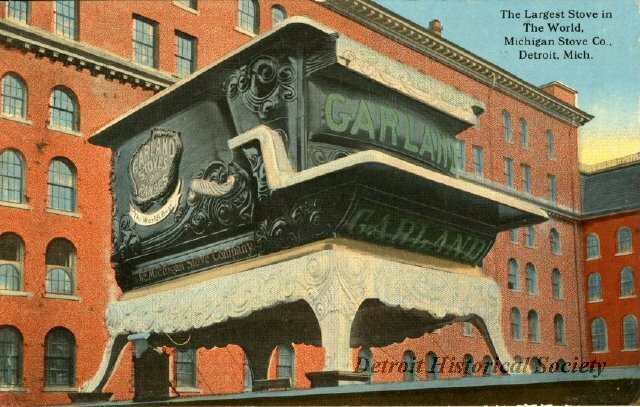 Longtime Detroiters and visitors remember the giant Garland Stove that was built for the Chicago World’s Columbian Exposition of 1893. It stood for years at the entrance to Belle Isle and later at the Michigan State Fairgrounds. In 2011 lightning from a severe summer storm hit the stove, completely burning the wooden structure. This entry was posted in Detroit History and tagged Detroit Stove Works, Garland Stove. If you only have the weekend to get out and dine, and don’t want to wait 2 hours for a table, we thought we would put together a list of Detroit restaurants that have been around a long time … This list covers the economic and gastronomic spectrum, something to scratch any culinary itch, and gives everyone another reason to explore Detroit. Giovanni’s Ristorante – 330 S. Oakwood Blvd. Jacoby’s German Biergarten – 24 Brush St.
CadieuxCafe Detroit – 4300 Cadieux Rd. Capers Steakhouse, Home of ‘Steak by the Ounce’ – 4726 Gratiot Ave.
Scotty Simpson’s Fish and Chips – 22200 Fenkell Ave. 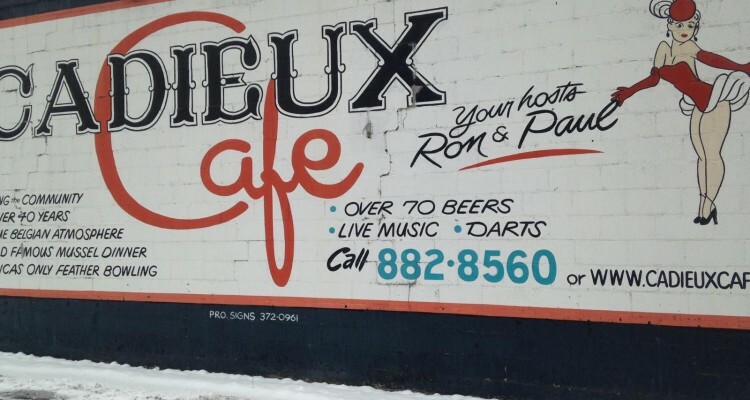 The Turkey Grill – 8290 Woodward Ave.
Ivanhoe Cafe – Polish Yacht Club – 5249 Joseph Campau Ave.
Read the complete article with a description of each eatery. This entry was posted in Restaurants and tagged Cadieux Cafe, Capers Steakhouse, Dakota Inn Rathskeller, El Nacimiento Mexican Restaurant, Giovanni's, Ivanhoe Cafe, Jacoby's German Biergarten, Polish Village Cafee, Polish Yacht Club, Red Hots Coney Island, Scotty Simpson's Fish and Chips, The Turkey Grill. 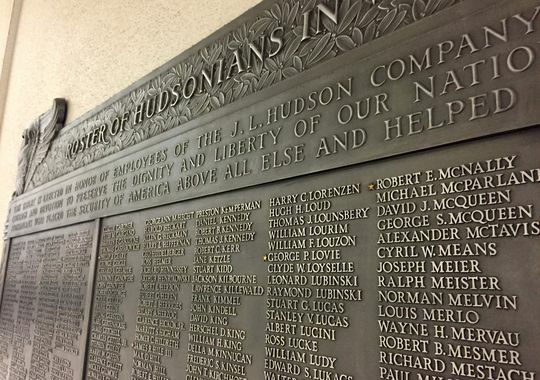 It was September 1947 when the J. L. Hudson Co. erected a large silver-toned plaque to honor its employees — its “Hudsonians” — who served their country in the military during World War II. The plaque lists 1,146 names, including the 31 men who never returned home. 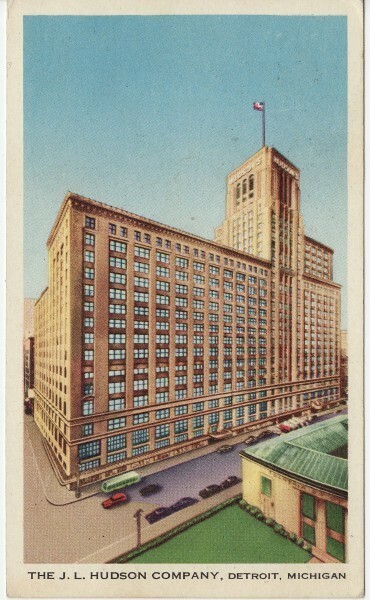 It was mounted on a wall near the first-floor escalators inside the downtown Detroit Hudson’s — then the second-largest department store in the world. The heavy memorial was put in storage after Hudson’s closed its Detroit store in 1983, and a decade later, was relocated to what is now the Macy’s at Northland Center mall. Macy’s says it will relocate the plaque to another store when its Northland store closes in the coming months. Read more about this important relic from Detroit’s history. This entry was posted in Detroit History, Downtown Detroit and tagged J.L. Hudson Co., Macy's, World War II.